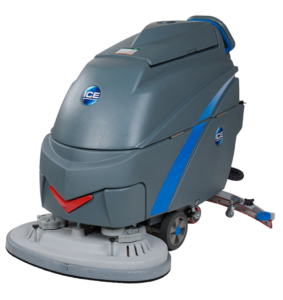 The Robotic scrubber represents the next generation of robotic floor care. The advanced vision-based A.I. system enables the robot to navigate complex, real-world environments. 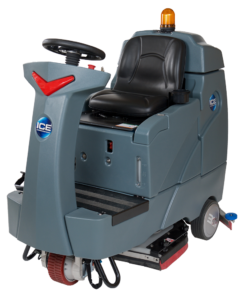 The machine is designed to work safely and efficiently alongside employees and can still be used manually for ad-hoc situations. 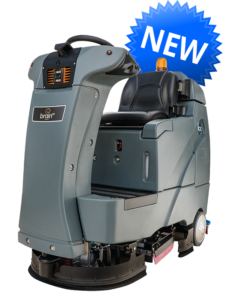 The RS26 rider auto scrubber is fully automated with a one-button programmable switch for training-free operation, and a three-setting pad pressure of up to 165lb allows for maximum cleaning efficiency. 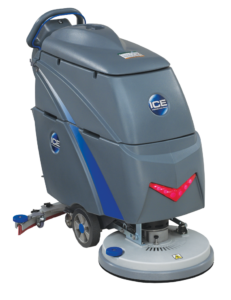 Its digitized (1% to 5%) solution mixing system makes solution composition change simple, and the compact design gives the RS26 maximum maneuverability.